Bullying can be detrimental to students’ well-being and development. Bullying is the act of intentionally causing harm to others, through verbal harassment, physical assault, or other more subtle methods such as spreading rumors. Bullying usually is characterized by direct or overt behavior, observable actions against an individual or group. However, bullying may also be indirect or covert, in which subversive acts that are more difficult to detect are perpetrated against the victim. Bullying may involve physical actions such as hitting, kicking, or hair pulling, or it may be verbal in nature, involving the use of hurtful nicknames, telling lies, or making fun of the victim. The traditional response to bullying has been to impose the responsibility to change upon the victim—telling them to fight back, to ignore it, to blend in more with the crowd, or to avoid the person bullying them so as not to provoke them. In general, this approach has failed, and in the worst instances has escalated the violence to school shootings and/or suicide of the victim. A different approach puts the responsibility to change on all those involved, including the individual who bullied, and the bystander—the other members of the community within which bullying has occurred. This approach recognizes that it is not only the victim of bullying who needs support, but the bully also needs both punishment and counseling, and the bystander, often ignored in the problem of bullying, needs empowerment. The problem of bullying can be seen not as an individual character flaw but rather as a societal problem. The desire for power over others, attained through physical or other forms of violence, is a problem that has been observed in human history. Its solution requires change both in human nature and in human relationships, such that every individual feels valued and respected within their community. When this is achieved, bullying will cease. Bullying is an act of repeated aggressive behavior in order to intentionally hurt another person, physically or mentally. A second common element in bullying behavior is a perceived imbalance of power, which allows one individual, or group, to victimize another. Bullying can occur in any setting where human beings interact with each other. This includes school, church, the workplace, home, and neighborhoods. It is even a common push factor in human migration. 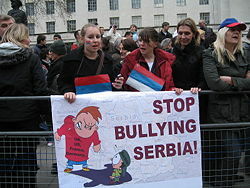 Bullying can exist between social groups, social classes, and even between nations. "Negative actions" are "intentional infliction of, or attempt to inflict, injury or humiliation on another. Such injury can be physical, verbal, or a mixture of the two. In some cases, verbal harassment is used to provoke a weaker person to anger and thus provide an excuse for the stronger individual, the bully, to become physical in their attacks. Verbal harassment, or teasing, is often the method used by a verbally efficient individual against one who is less proficient with words. Teasing with a sexual content may be a precursor to sexual harassment in later years. First, bullying represents a chronic pattern of abuse over time, not individual or rare episodes. Second, bullying is not necessarily one-on-one harassment; it may be carried out by a group on a single individual. 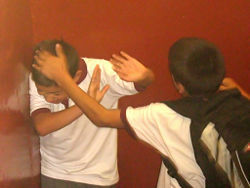 Bullying can be divided into two categories: Direct bullying, and indirect bullying. Direct bullying involves overt behaviors directed against another individual, observable by others. They may include physical aggression such as shoving and poking, throwing things, slapping, choking, punching and kicking, beating, stabbing, pulling hair, scratching, biting, scraping, and pinching. Non-violent physical actions such as staring, laughing at the victim, and stealing items like lunch money are also common. Direct bullying may also be verbal in nature, such as teasing, saying hurtful things, and using unpleasant nicknames directly to the person. Indirect bullying is characterized by threatening the victim into social isolation. This isolation is achieved through a wide variety of techniques, such as spreading gossip and rumors, refusing to socialize with the victim, bullying other people who wish to socialize with the victim, and criticizing the victim's manner of dress and other socially significant markers (including the victim's race, religion, disability) to other people to influence their opinion of the victim. There is a growing body of research which indicates that individuals, whether child or adult who are persistently subjected to abusive behavior are at risk of stress related illness which can sometimes lead to suicide. In Japan, bullying in schools has resulted in the suicides of several students, leading to media attention and efforts by the Ministry of Education to encourage schools to tackle the issue. In 2002, a report released by the U.S. Secret Service concluded that bullying played a significant role in many school shootings and that efforts should be made to eliminate bullying behavior. Research indicates that adults who bully have personalities that are authoritarian, combined with a strong need to control or dominate. It has also been suggested that a prejudicial view of subordinates can be a risk factor. While envy and resentment may be motives for bullying, there is little evidence to suggest that bullies suffer from any deficit in self esteem (as this would make it difficult to bully). Researchers have identified a number of other risk factors for bullying, such as quickness to anger and use of force, addiction to aggressive behaviors, mistaking others' actions as hostile, concern with preserving self image, and engaging in obsessive or rigid actions. If aggressive behavior is not challenged in childhood, there is a danger that it may become habitual. Indeed, there is research evidence to indicate that bullying during childhood puts children at risk of criminal behavior and domestic violence in adulthood. School bullying may occur in any area of a school—in or around the school building—although it more often occurs in Physical education, recess, hallways, bathrooms, on school buses and waiting for buses, and in classes that require group work and/or after school activities. Bullying in school may consist of a group of students taking advantage of, or isolating, one student and gaining the loyalty of bystanders who want to avoid becoming the next victim. These bullies will taunt and tease their target before physically bullying them. Targets of bullying in school are often pupils who are considered different by their peers to begin with. Japan, which has suffered increased bullying (ijime) in its schools, is a group-oriented society and maintaining harmony within the group is paramount: It is the kids who do not fit into the group who are the ones who will be bullied. … The Japanese educational system teaches students that it is not permitted to withdraw from the group, be an individual, or live independently. Some children bully because they have been isolated, and they have a deep need for belonging, but they do not possess the social skills to effectively keep friends. Bullying can also be perpetrated by teachers and the school system itself: there is an inherent power differential in the system that can easily predispose those in authority to subtle or covert abuse, humiliation, or exclusion, even while maintaining overt commitments to anti-bullying policies. Some of the children who perpetrated school shootings have claimed that they were victims of bullying and that they resorted to violence only after the school administration repeatedly failed to intervene. Unlike the more physical form of schoolyard bullying, workplace bullying often takes place within the established rules and policies of the organization and society. Such actions are not necessarily illegal and may not even be against the firm's regulations; however, the damage to the targeted employee and to workplace morale is obvious. While sexual harassment has been recognized in law in many countries including the United States, workplace bullying is still being established as a social problem. Bully Bosses try to intimidate the people who report to them. They insult, taunt, harass, and threaten employees. They snap, shout, ridicule, and/or curse at them. While abusing people, both verbally and psychologically, bullying bosses have that cat-that-swallowed-the-canary, satirical expression on their faces. They appear to be out of control while attacking, but they are very much in control and keenly aware of the emotional reactions of the people around them. It begins when an individual becomes the target of disrespectful and harmful behavior. Through innuendo, rumors, and public discrediting, a hostile environment is created in which one individual gathers others to willingly, or unwillingly, participate in continuous malevolent actions to force a person out of the workplace. Cyber-bullying is bullying that involves the use of digital technology in communication: "The intentional and repeated harm of others through the use of computers, cell phones, and other electronic devices." Cyberbullying involves the use of information and communication technologies to support deliberate, repeated, and hostile behaviour by an individual or group, that is intended to harm others. Cyberbullying can happen through the use of e-mail, cell phone text (SMS) and multimedia messages (MMS), instant messaging (IM), defamatory Web logs (Blogs), personal Web sites, and online personal polling sites. In some ways cyber-bullying is no different from other forms of bullying: Those who bully others are trying to establish power and control over others that they perceive to be "weaker" than them. Yet it has differences due to the nature of the media involved. Cyberbullies can more easily hide behind the anonymity that the Internet offers and feel less threatened with exposure and consequences of their actions. Adults are often less familiar with the technology than young people, the “Always On” generation, who increasingly communicate in ways unknown by adults and away from their supervision. 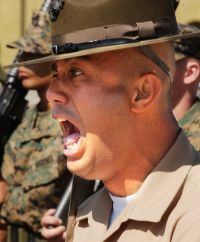 Extreme levels of aggression and intimidation are an integral part of most boot camps. What would be classified as bullying behavior has commonly taken place in military environments, particularly at boot camp. Some argue that this behavior should be allowed because "soldiering" is different from other occupations. Soldiers expected to risk their lives should, according to this view, develop strength of body and spirit to accept bullying. Ritual hazing among recruits has been tolerated and even lauded as a rite of passage that builds character and toughness. However, outrage at the violent and inappropriate nature of such behavior has caused controversy around the world. For example, in Russia, Dedovshchina (Russian: дедовщи́на), the informal system of subjugation of new junior conscripts in the armed forces, involves a spectrum of subordinating activities performed by the junior ranks, from carrying out chores of the senior ranks to violent and sometimes lethal hazing, in some cases an extremely vicious form of bullying or even torture. It is often cited as a major source of poor morale in the ranks and is the most common reason for suicide. the use of physical strength or the abuse of authority to intimidate or victimize others, or to give unlawful punishments. Political bullying by one country of another can be a form of Jingoism—"extreme patriotism in the form of aggressive foreign policy." Such bullying may include the use of threats of or actual force against other countries in order to safeguard what they perceive as their country's national interests. Non-violent actions include ensuring that aid and grants will not be given to the smaller country or that the smaller country will not be allowed to join a trade agreement. Hazing can be considered a form of bullying. It consists of a ritualistic test with requirements to perform meaningless tasks which may constitute harassment, abuse, or humiliation, usually as a way of initiation into a social group. The term can refer to either physical (sometimes violent) or mental (possibly degrading) practices. Hazing is often used as a method to promote group loyalty, camaraderie, and bonding through shared suffering with fellow participants, past participants, or both. In that sense it functions as a rite of passage. It is a subjective matter where to draw to line between "normal" hazing (somewhat abusive) and a harmless rite of passage which essentially promotes bonding; and there is a gray area which crosses over into degrading, even harmful abuse that should not even be tolerated. Hazing is considered a felony in several U.S. states, and anti-hazing legislation has been proposed in other states. The traditional response to bullying, often promoted by adults to whom victims turn, is to respond in kind—to confront the violence of the bully with violence in return. This response, though it may not stop an attack, reduces the benefit of bullying the target individual. The basis of this concept is that the bullied is seen to be an "easy target" and that there are few, if any, consequences to harassing them. By removing the fundamental basis of the bully/target relationship, the bullying ends. However, more recent events and research have shown that this response is not the best, or even an effective, way to stop bullying. When victims are weaker, physically or intellectually, responding in kind leads only to defeat which encourages further bullying rather than deterring it. When victims meet violence with violence, but escalate it to a level where they have superior force, such as in school shootings, tragedy results. This traditional response puts the responsibility of ending bullying on the victim. Other efforts to train victims to behave differently—such as by being assertive, trying to blend in rather than appearing different and attracting the attention of bullies, ignoring bullying, or pretending that they are not bothered by bullying actions—all suffer from the same misguided view that the victim is responsible to change the situation. When this approach does not work, the victim is left with a sense of failure. In the traditional response, the victim of bullying is the one upon whom the responsibility to change is imposed. A different approach involves including all the "characters in a tragic play"—the bully, the victim, and the bystander(s)—rewriting the scripts so that each character can improve their behavior. With this understanding, it is not only the victim of bullying who needs support, but the bully also needs both punishment and counseling, and the bystander, often ignored in the problem of bullying, needs empowerment. If student bullying, at least in part, reflects a structural problem, then instead of focusing on "problem students" and "problem behavior," it becomes necessary to examine the social structure of school itself. Instead of trying to change the individual students concerned, it becomes necessary to change the school, or more fundamentally, the educational paradigm that formulates student-teacher relationships, the nature of learning, and the manner of keeping necessary order. 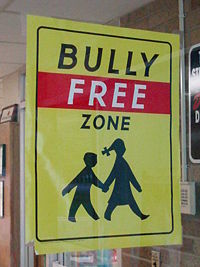 Changing schools will not eliminate all the bullying among students (which may derive from factors other than school), but it has the potential to turn schools into places where pupils and students learn an alternative mode of human relations where individuals relate with each other freely without being dominated by power. Schools can be places where students learn to ‘de-code’ all the other factors that promote bullying outside the school context, instead of being places where power-dominant human relations are ‘re-learned’ and reproduced. Additionally, consequences for bullying behaviors must be agreed upon, and these must be enforced consistently. ↑ 1.0 1.1 1.2 Finessa Ferrell-Smith, "Tackling the Schoolyard Bully: Combining Policy Making with Prevention," National Conference of State Legislatures, 2003. ↑ Dan Olweus, Bullying at School: What we Know and What we can Do (Wiley-Blackwell, 1993, ISBN 0631192417). ↑ 3.0 3.1 3.2 John H. Hoover and Ronald L Oliver, The Bullying Prevention Handbook: A Guide for Principals, Teachers, and Counselors (Solution Tree, 2008, ISBN 978-1934009116). ↑ U.S. National Center for Education Statistics, Student Reports of Bullying, Results From the 2001 School Crime Supplement to the National Crime Victimization Survey. Retrieved January 23, 2018. ↑ 5.0 5.1 P. N. Ross, Arresting Violence: A Resource Guide for Schools and Their Communities (Toronto, ON: Ontario Public School Teachers' Federation, 1998). ↑ 6.0 6.1 K. D. Williams, J. P. Forgás, and W. von Hippel (eds. ), The Social Outcast: Ostracism, Social Exclusion, Rejection, & Bullying (New York, NY: Psychology Press, 2005, ISBN 184169424X). ↑ 7.0 7.1 School Bullying AIPC Article Library, May 13, 2010. Retrieved January 23, 2018. ↑ 8.0 8.1 Voice of America, Bullying in Japan Leads to Student Suicides, October 27, 2009. Retrieved January 23, 2018. ↑ C. Brodsky, The Harassed Worker (Lexington Books, 1976, ISBN 0669010413). ↑ Blake Ashforth, "Petty tyranny in organizations," Human Relations 47(7) (1994): 755-778. ↑ S. Einarsen, H. Hoel, D. Zapf, and C. L. Cooper (eds. ), Bullying and Emotional Abuse in the Workplace: International Perspectives in Research and Practice (London: Taylor & Francis, 2003, ISBN 0415253594). ↑ G. M. Batsche and H. M. Knoff, "Bullies and their Victims: Understanding a Pervasive Problem in the Schools" School Psychology Review 23(2) (1994): 165-174. ↑ R. J. Hazler, J. V. Carney, S. Green, R. Powell, and L. S. Jolly, "Areas of Expert Agreement on Identification of School Bullies and Victims" School Psychology International 18 (1997): 3-12. ↑ James Garbarino and E. de Lara, And Words CAN Hurt Forever: How to Protect Adolescents from Bullying, Harassment, and Emotional Violence (New York, NY: The Free Press, 2003, ISBN 0743228995). ↑ Marilyn Haight, Who's Afraid of the Big, Bad Boss? How to Survive 13 Types of Dysfunctional, Disrespectful, Dishonest Little Dictators (Worded Write Publishing, 2008, ISBN 978-0980039016). ↑ Noa Davenport, Ruth Distler Schwartz, and Gail Pursell Elliot, Mobbing: Emotional Abuse in the American Workplace (Civil Society Publishing, 1999, ISBN 0967180309). ↑ Sameer Hinduja and Justin W. Patchin, Bullying Beyond the Schoolyard: Preventing and Responding to Cyberbullying (Corwin Press, 2008, ISBN 978-1412966894). ↑ 18.0 18.1 18.2 W. Belsey, Cyberbullying: An Emerging Threat to the Always On Generation, www.bullying.org. Retrieved January 23, 2018. ↑ Jean M. Callaghan and Franz Kernic (eds. ), Armed Forces and International Security: Global Trends and Issues (Munster: Lit Verlag, 2004, ISBN 3825872270). ↑ BBC News, Military bullying a global problem, November 28, 2005. Retrieved January 23, 2018. ↑ BBC News, Russia army suicides cause alarm, May 29, 2008. Retrieved January 23, 2018. ↑ The Values and Standards of the British Army—A Guide to Soldiers (UK: Ministry of Defence, UK, 2000), paragraph 23. ↑ Catherine Soanes (ed. ), Compact Oxford English Dictionary for University and College Students (Oxford: Oxford University Press, 2006), 546. ↑ 24.0 24.1 Stan Davis, Schools Where Everyone Belongs: Practical Strategies for Reducing Bullying (Research Press, 2007, ISBN 0878225846). ↑ Barbara Coloroso, The Bully, the Bullied, and the Bystander: From Preschool to High School—How Parents and Teachers Can Help Break the Cycle of Violence (Collins Living, 2004, ISBN 006001430X). ↑ Shoko Yoneyama and Asao Naito, Problems with the Paradigm: The school as a factor in understanding bullying (with special reference to Japan), British Journal of Sociology of Education 24(3) (2003): 315-330. Retrieved January 23, 2018. Brodsky, Carroll M. The Harassed Worker. Lexington Books, 1976. ISBN 0669010413. Callaghan, Jean M., and Franz Kernic (eds.). Armed Forces and International Security: Global Trends and Issues. Munster: Lit Verlag, 2004. ISBN 3825872270. Coloroso, Barbara. The Bully, the Bullied, and the Bystander: From Preschool to High School—How Parents and Teachers Can Help Break the Cycle of Violence. Collins Living, 2004. ISBN 006001430X. Davenport, Noa, Ruth Distler Schwartz, and Gail Pursell Elliot. Mobbing: Emotional Abuse in the American Workplace. Civil Society Publishing, 1999. ISBN 0967180309. Davis, Stan. Schools Where Everyone Belongs: Practical Strategies for Reducing Bullying. Research Press, 2007. ISBN 0878225846. Davis, Stan, and Julia Davis. Empowering Bystanders in Bullying Prevention. Research Press, 2007. ISBN 0878225390. Einarsen, Stale, Helge Hoel, Dieter Zapf, and Cary L. Cooper (eds.). Bullying and Emotional Abuse in the Workplace: International Perspectives in Research and Practice. Taylor & Francis, 2003. ISBN 0415253594. Elias, Maurice, Charles Maher, and Joseph Zins. Bullying, Victimization, And Peer Harassment: A Handbook of Prevention And Intervention. Routledge, 2006. ISBN 0789022192. Garbarino, James, and Ellen deLara. And Words Can Hurt Forever: How to Protect Adolescents from Bullying, Harassment, and Emotional Violence. Free Press, 2003. ISBN 0743228995. Haight, Marilyn. Who's Afraid of the Big, Bad Boss? How to Survive 13 Types of Dysfunctional, Disrespectful, Dishonest Little Dictators. Worded Write Publishing, 2008. ISBN 978-0980039016. Hinduja, Sameer, and Justin W. Patchin. Bullying Beyond the Schoolyard: Preventing and Responding to Cyberbullying. Corwin Press, 2008. ISBN 978-1412966894. Hoover, John H., and Ronald L Oliver. The Bullying Prevention Handbook: A Guide for Principals, Teachers, and Counselors. Solution Tree, 2008. ISBN 978-1934009116. Meikle, James. Bullying: calls for national inquiry. The Guardian, Tuesday, March 27 2007. Retrieved October 25, 2008. Olweus, Dan. Bullying at School: What we Know and What we can Do. Wiley-Blackwell, 1993. ISBN 0631192417. Ross, Peter N. Arresting Violence: A Resource Guide for Schools and their Communities. Ontario Public School Teacher's Federation, 1998. Williams, Kipling D., Joseph P. Forgás, and William von Hippel (eds.). The Social Outcast: Ostracism, Social Exclusion, Rejection, & Bullying. Psychology Press, 2005. ISBN 184169424X. This page was last modified on 23 January 2018, at 20:49.